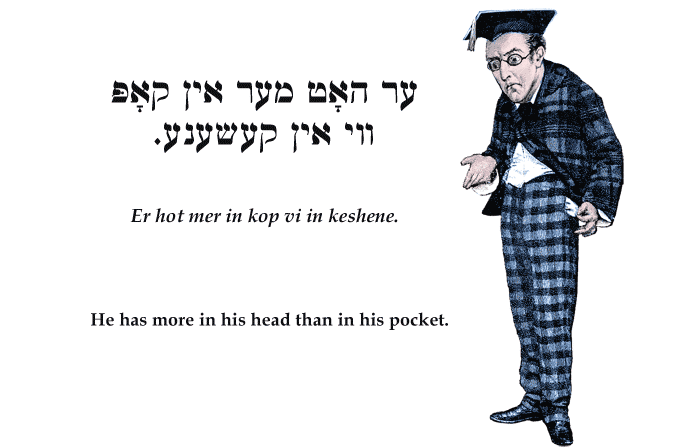 Yiddish Wit: He has more in his head than in his pocket. ער האָט מער אין קאָפּ ווי אין קעשענע. Er hot mer in kop vi in keshene.